Alba González Nieto is graduated in History by the University of Zaragoza, and has a master’s degree in Archaeology by the University of Granada. 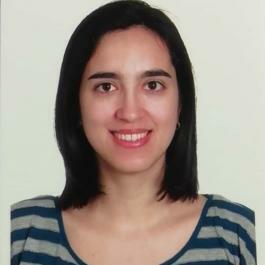 Since 2016 she became a predoctoral researcher in the University of Zaragoza, where she is preparing her PhD thesis under the supervision of Dr. Francisco Beltrán. Her lines of research are focused on roman family representation and promotion strategies in the Western Provinces. She is member of the research group "Hiberus" of the University of Zaragoza.